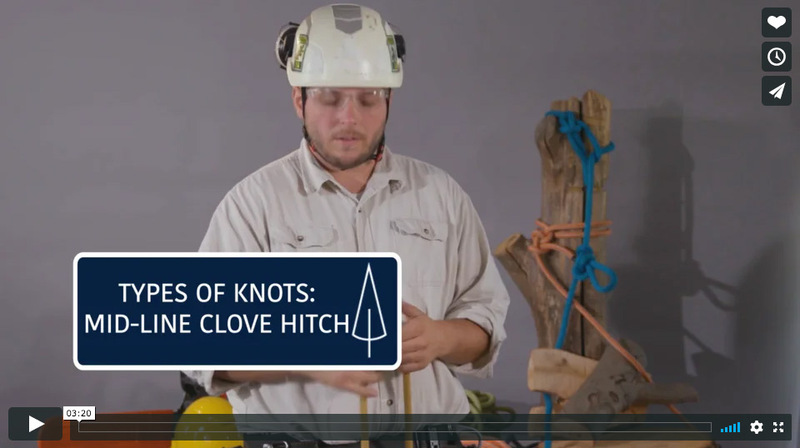 A mid-line clove hitch is a useful knot to have in any rope-tying toolkit for attaching objects to a line for a variety of purposes. They are simple to tie and can be created a few different ways in just a few seconds each. For those who climb as part of their daily work, a saddle is a safety and productivity staple on every equipment checklist. It’s imperative that you inspect your saddle for wear and tear as well as any potential buckle problems prior to use — each and every time. If your climbing line doesn’t feature a splice to attach the rope a carabineer, you can use an anchor bend knot to secure it. 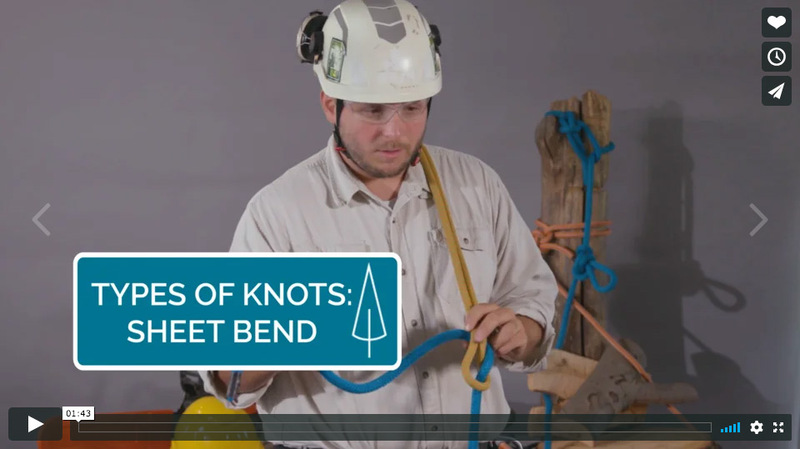 In this video, we’ll review the steps to create an anchor bend knot and attach it to a carabineer. 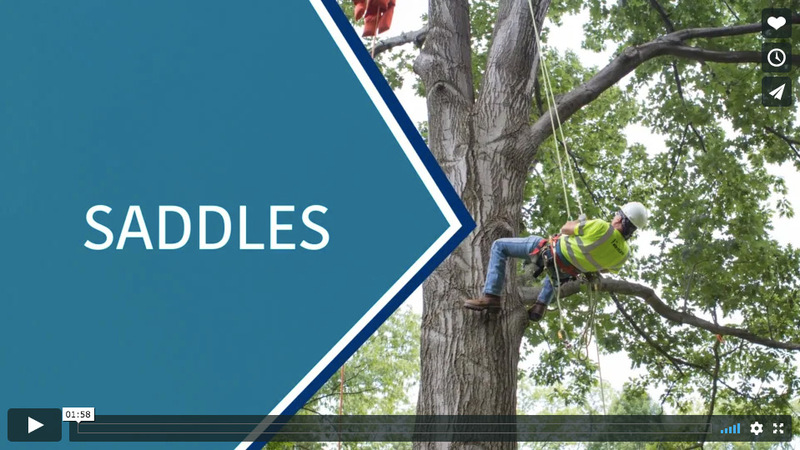 There are many types of rope that you can choose from when climbing on the job. 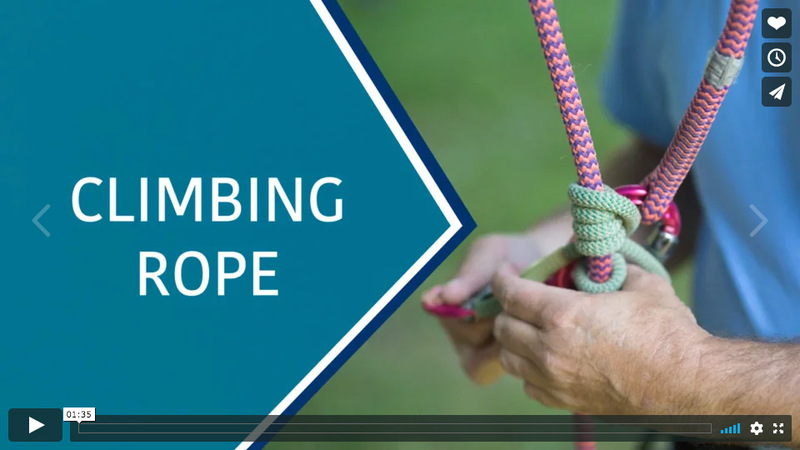 In this video, we’ll discuss an industry climbing rope requirement for working near live power lines as well as some tips for inspecting your rope for safety before climbing. A sheet bend knot is useful for joining two separate ropes, even those that may be different sizes. While a single sheet bend isn’t particularly secure, you can tie a double sheet bend to help strengthen the knot. 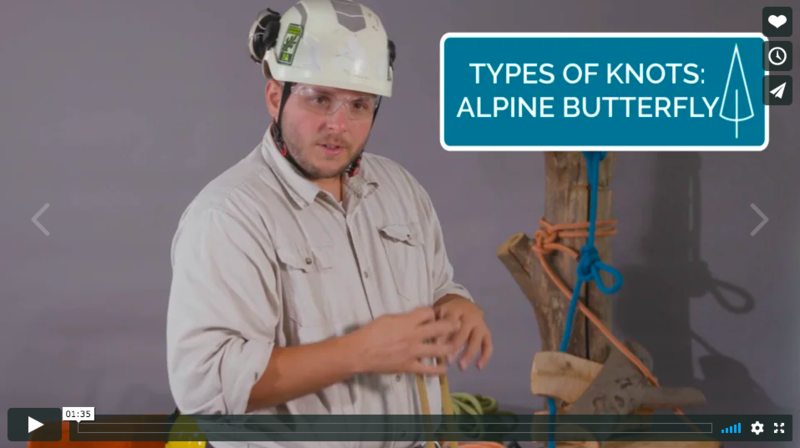 Alpine butterfly knots are useful when a loop is needed in the middle of the rope, whether that be for climbing purposes, securing objects to the rope, or even isolating specific parts of the rope. 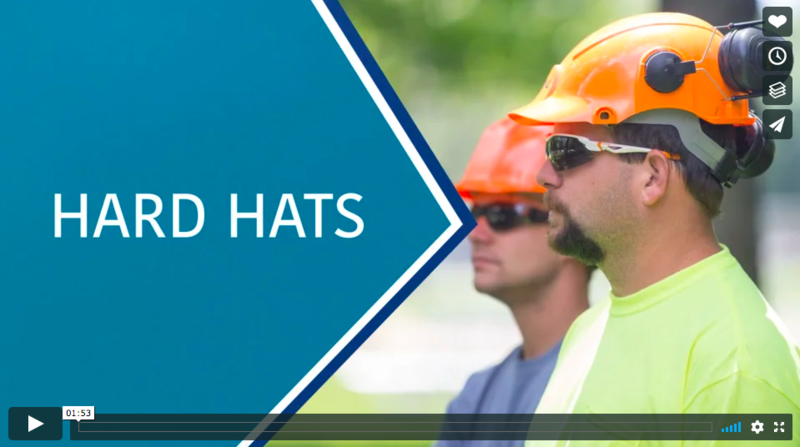 While there are many types of hard hats to choose from, they all have one thing in common: they’re an absolute necessity for staying safe on the job. 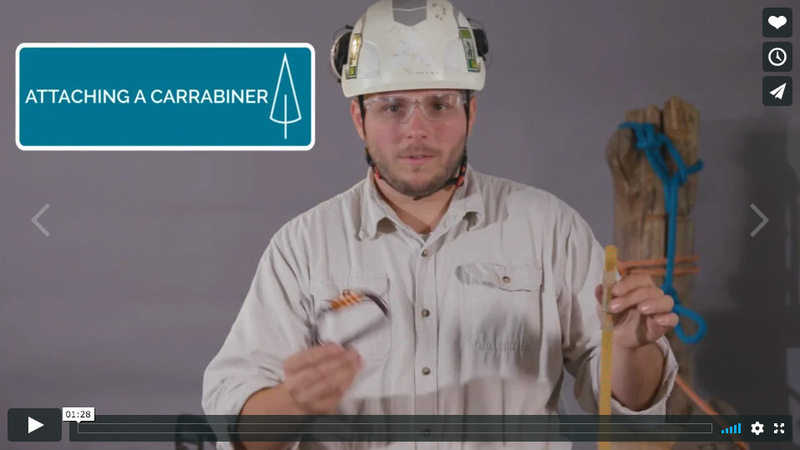 Learn more about what makes a hard hat safe and some tests you can perform on your hard hat. A snap is a critical piece of safety hardware for employees who climb as part of their responsibilities. 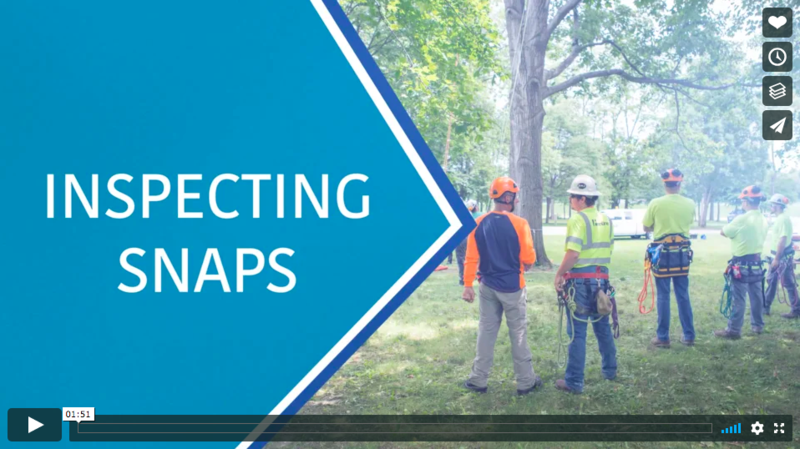 While there are several styles and materials that can be used, ALL snaps must meet certain ALL snaps must meet certain requirements to be eligible. An overhand knot is a common, easy-to-tie knot that can be further strengthened into a slip knot with just a couple quick steps. By simply inserting one end of a rope back through the overhand knot, you can create a secure loop that can only be loosened one way. 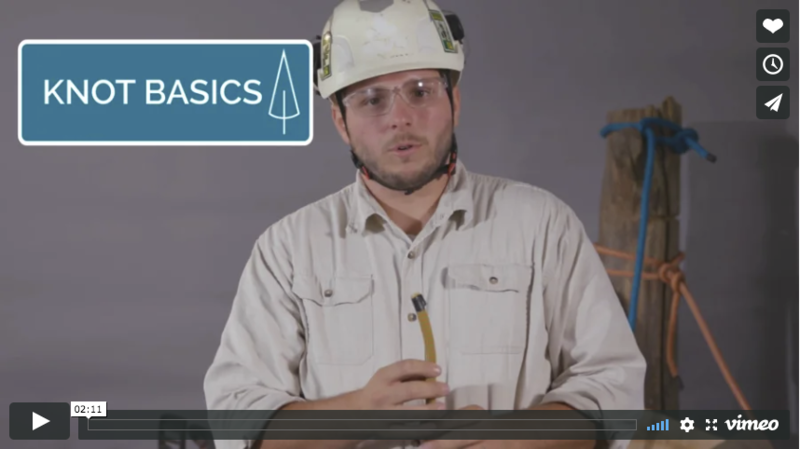 At ACRT Arborist Training, safety comes first at all times. 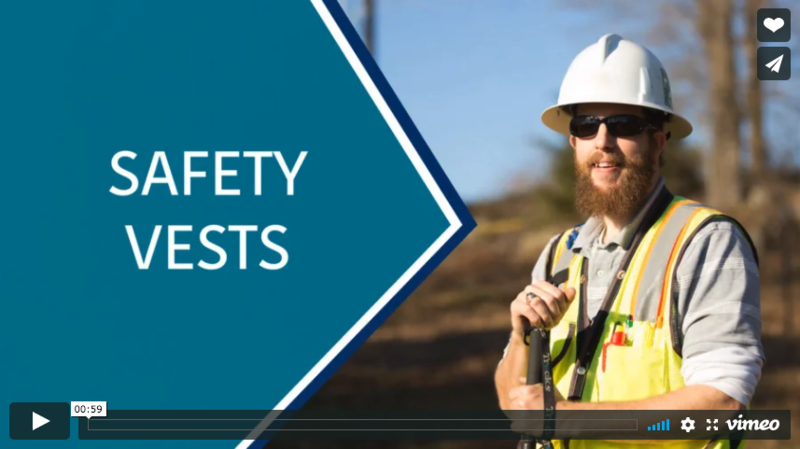 Whether you’re working remote in the field, in a residential neighborhood, or a more densely populated area, a proper safety vest is critical. Stopper knots are important for keeping yourself safe while climbing. 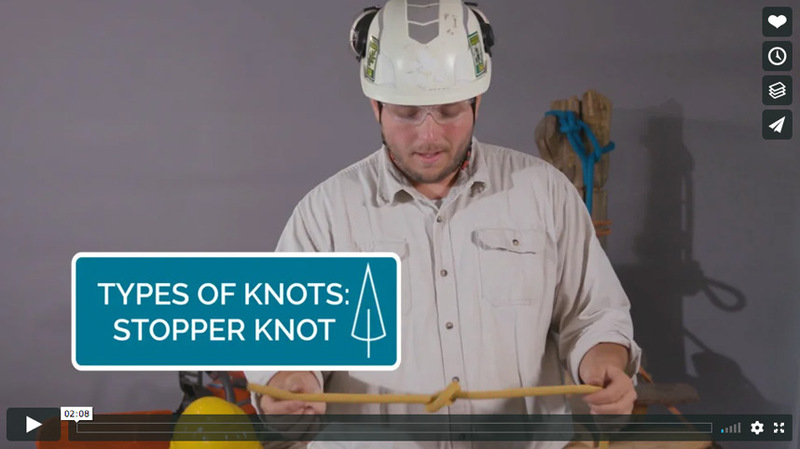 In this video, we explore a few types of stopper knots. Included this time are the overhand knot, the figure eight, and the double fisherman’s knot. Before you tie knots, it’s important that you know your way around a rope. 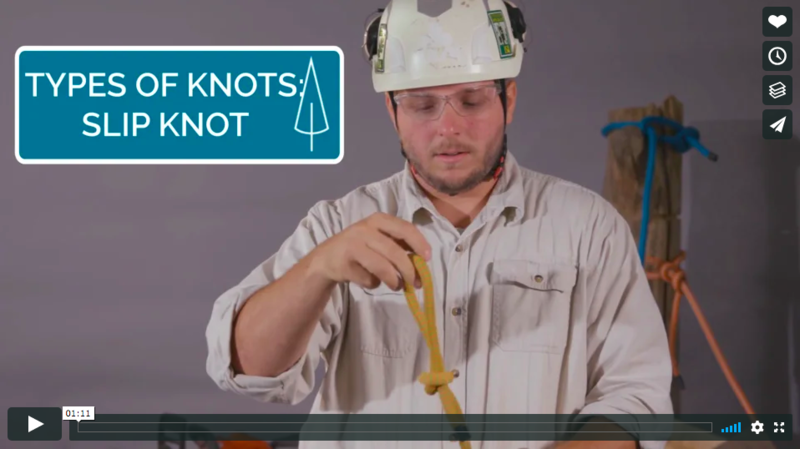 In this two minute learning knot-basics video, you’ll learn terms you’ll find in knot-tying instructions, as well as helpful tips to make your knot-tying more efficient.